KEY POINT: Before we can read the Bible well, we need to ensure we are in a place where distractions are minimized. Plus, there is a difference between scanning/browsing versus actual reading of the Bible. Knowing the difference will help us read our Bibles better. 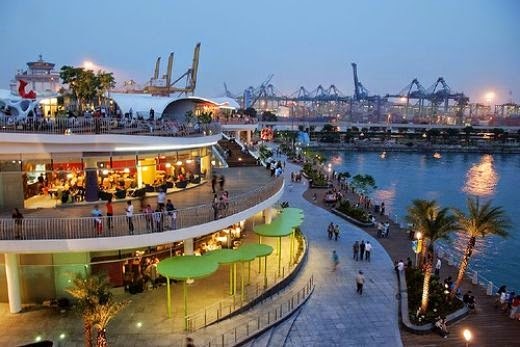 I was at VivoCity the other day checking out the sprawling shopping mall. People told me that it is considered "old," especially when compared to many of the newer malls and shopping plazas all over the city. For me, everything looked new simply because it was my first time there. I felt like a stranger in a country I grew up in. There were plenty of food selections from restaurants to hawker fare, all within a comfortable air-conditioned environment. From retail stores to multiple supermarkets, the whole place was packed with people. I tried to look for a bookshop. There was none to be found. I checked the Internet and the two listed on the web were long gone. Instead of bookshops, there were plenty of stores selling electronic wares, especially cell phones and accessories. It is a global phenomenon that as more people take to eBooks, less people buy real hard copies. Selling books is no longer a viable business for many. The same goes for our traditional Bibles. With the easy availability of eBibles on the Android and Apple stores, it is far easier to download bibles into our phones and take them with us everywhere we go, than to go look for a bookshop, at least at VivoCity. For the modern truth is this. More people are taking their cellphones with Bibles loaded on them and leaving their printed bibles at home. On transit, it is easy to find people with their attention glued to their hand-held devices than to find someone reading an actual book. Even in churches, I see more and more people looking at bright screens in a Church sanctuary. This week, I ponder at the issue of Bible reading. I believe that there is a difference between reading the printed Word and the electronic version. When we know the difference, we can make an informed choice about what medium to use when reading our Bibles. When we fire up our Bibles on our cellphones, it takes a couple of seconds before we flip to the passage we want. Unless one has a systematic reading plan or a devotional, one typically opens up to a random passage. Here is the story of one user named Bob. Bob tried to read his Bible on his phone while traveling home on the subway. He had a shortcut that brought him directly to the version he wanted. Then the phone beeped. A text message demanded his attention. He got to it and replied. Then there was emails, from his three different email accounts. He checked them all. After a couple of minutes, the Facebook app in his phone made his phone vibrate. Someone had liked his posting. Another had commented on his earlier links. Bob had fun for a while finding out what his friends were doing. One thing led to another and he was soon watching some viral videos of puppies that his sister had shared with him. He was also attracted to another political news report about some of his passions: the Economic outlook. He spent some thing browsing the article and had to control his desire to respond. After all, it was Bible reading time. Bob closed all his other apps, and decided to just turn on Airplane mode to silence all other signals. Upon opening his Bible, he forgot which passage he was trying to get. Then the announcement on the train came. He had just missed his stop! We may say that Bob's case is just an extreme case. Is that true? I think the temptation for distractions is far closer than we think. As a technologist myself, I know that I am easily distracted by the power and capability of the modern digital gadgets. Technology has done wonders giving more capability to smaller devices. The handheld gadget of today is far more powerful than huge computers on our desks yesterday! I find myself regularly checking out the battery level, the WiFi signals, and the strength of my 3G/4G signals. I check privacy settings. I check the GPS that seems to tell the world exactly where I was. After all, in an Internet world of today, the desire for privacy forces us to try to manage what information our devices are sharing without us knowing. There is the location setting that can pinpoint our whereabouts. There is information available to tell us which country we are in, what city we are located, which road we are on, and what apps we are using! People who are paranoid about privacy will have to ensure their phones are well shielded from digital prying eyes. Now, back to the Bible? I began intentionally with the digital scenario above to remind us that time with God needs to be carved out with minimal distractions. Unless one is really disciplined about managing their digital distractions, switching off is the best policy. First put the phone aside. Then, pull up the printed Bible and read. Really read. Which English Bible translation should we use? 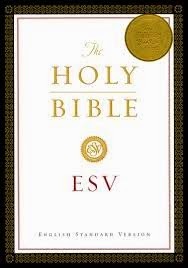 For general purpose reading, choose either the ESV or the NIV2011. The ESV has become the Bible version of choice by more and more churches. (Check out Kevin DeYoung's rationale for switching his Church to the ESV here). It is known to be a better balance between a literal translation and the NIV. Literal translations like the NASB tend to be more difficult and woody for the lay people. The NIV (especially the NIV2011) appears a little too flexible in the rendering of words. The ESV sits between the two, offering a respectable literal translation as well as a readable modern day understanding. Having said that, the NIV is still a good translation. Although most people I know still preferred the older NIV84 version, the newer NIV2011 is still rather good. I preach regularly from the NIV2011, simply because a lot of my congregation members use this version. So, to begin Bible reading, decide on an English translation and stick to it. If we do not decide on one version upfront, just having so many different versions with us can be one distraction in itself. For personal reading, I recommend the ESV. If you feel that the majority of your Bible study group or Church are using a different version, it is ok to switch to that so as to maintain consistency in Bible reading. From my experience, it is more important to be on the same version with the group rather than to have different versions. It makes more fruitful Bible study. This aids the study and not let different translations distract. Alternate translations when used must be used to shine light on perspectives. Begin with the same version as much as possible. Before any one can understand the nuances of the verse, one needs to first READ the verse right? So, for a start, choose one version and stick to it as a group. For personal reading, choose one version and stick to that too. Now the reading. There is a difference between trying to read and reading, just like there is a difference between looking at food and eating it. Imagine someone inviting us to have dinner, graciously prepared by a famous chef. We make plans to go. Upon entering the house, we detect the aroma of food at the door. We smell roast beef and baked salmon. Vegetables are plenty. We see the beautiful salads being prepared with lots of dressing to choose from. We see wine bottles and glasses placed on the dinner table even as cocktail is being served. Then the phone rings. It's the boss calling. Even though we have planned for this dinner a long time, we had to answer this emergency. Bidding goodbye sadly to our hosts, we rush back to office, hungry and disappointed. We smell but did not eat. We see but did not touch. We want to but could not partake of such a wonderful spread. This is the same with people who simply do a cursory scan of the words in the Bible without actually taking time to ponder, to meditate, and to pray. When they read, they read with their own needs in mind rather than with God's intent. David Saxton, Senior Pastor of Hardingville Bible Church in Gloucester County, New Jersey, was asked about what was wrong with Christianity in general. His prompt reply was this: "It has become thoughtless, superficial, and self-absorbed." He attributes this to the lack of meditative reading of the Bible. One problem in modern Bible reading is that we tend to read our needs into the Bible and gravitate toward choice verses. There is a difference between reading and meditating. Many people do not really know how to read. Some read the Bible the same way they read newspapers, brochures, and magazines. No. Reading the Bible requires a different set of skill and purpose. The difference? Meditative reading. Whether we are aware or not, remember that our increasingly digital diet has changed our reading habits. For example, some people tend to scan down the page faster and call that reading. They forget that the Internet browser is precisely that: To browse! We then take our scanning habits and browsing patterns to the way we read the Bible. No wonder our Bible readings get affected. I would even say that anyone trying to scan the Bible this way is not really reading. They are actually browsing the Bible and scanning the passages for spiritual "gems." That is no way to read the Bible. For if we affirm that the whole Bible is the Word of God, we cannot survive by cherry picking gems alone. We must learn to read the whole counsel of God. 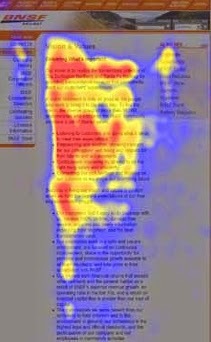 According to research done by Jakob Nielsen, people who read web pages do so on a F-shaped format. The first two lines of any web page, people will read horizontally. Once the eye reaches the middle of the page, they start to scan downward, with the entire pattern resembling an F.
D) So How Do We Read the Bible? First things first, get rid of anything that distracts. Be aware that the medium we use to read the Bible will influence the way we understand the Bible. In our digital world, if we try to read the Bible on our tablets or cell-phones, remember that we have a tendency to SCAN or BROWSE rather than actual reading. Perhaps, some of us have trained ourselves to be really disciplined. We have avoided turning on our data plan. We have turned off the WiFi. We have turned our phones on Airplane mode. We have closed all of our applications, leaving only the Bible open to us. We try to read. Try we did. Until the phone beeps again. 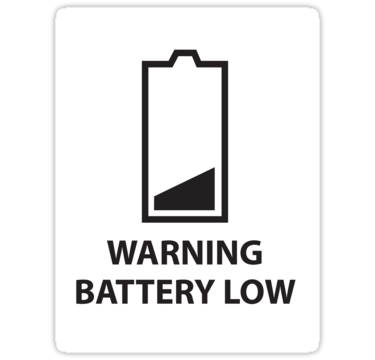 This time, it could be the battery forcing us to shut the phone down and stare into thin air. Second, have an open Bible rather than an open app. Small bibles are useful to carry along. My friends, the journey to reading the Bible must begin with the Word. Know that digital bibles do have limitations if not technically, then cognitively. Digital bibles tend to make us scanners and browsers instead of readers. My contention is that we need to understand our human makeup and our tendency to be distracted. Good intentions alone are insufficient. We need to acknowledge that modern devices can influence the way we read stuff. Bible believers must let the Word of God influence us, not the mobile devices. This one thing I fear in this cellphone infested society. We have become enslaved to the mobile devices that promise us everything, including having the Bible. We need to take back the Bible. We cannot depend solely on downloaded bibles in the memory cards within our phones, forever clouded by distractions galore. There is an additional benefit, our eyes are less tired when reading a paper Bible. Third, remember the teaching in James, not to be like the man who looks into a mirror and forgets what he sees. When we want to read the Word, James teaches us to be both hearers as well as doers. If we do not hear well, how then could we do? If we do not learn how to read well, on what basis do we then practise? If we fail to listen well, how can we understand what to do? For such a person is likened to one whose religion is worthless! It would be folly for me to insist that we only use paper copies. The use of electronic bibles will only continue to rise. There is no stopping this e-tidal wave. Each of us will need to ask ourselves this question and perform a test. How is our digital bible helping us to look into a mirror and REMEMBER what we see? Whatever medium you choose, if it works for you, great. If not, go for paper! Next week, I will touch on reading well, part 2.